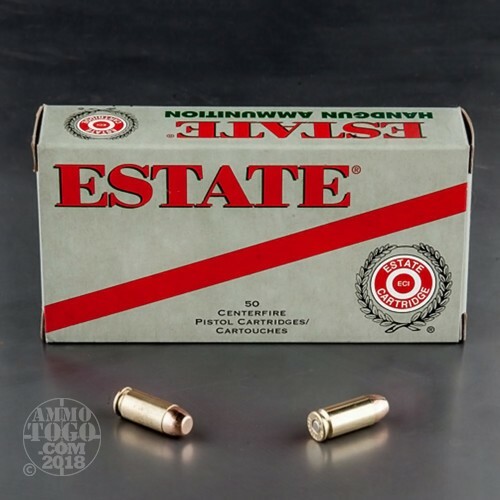 This Estate Cartridge ammunition is manufactured in the United States by Vista Outdoors (a spin off company of ATK). Vista Outdoors also owns big industry names like Federal, CCI, and Speer. 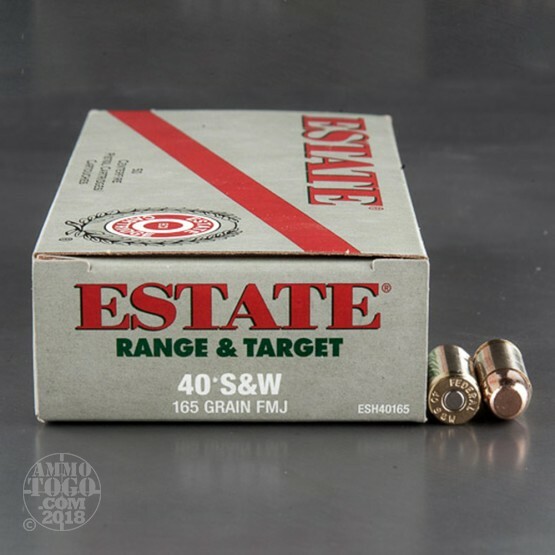 Packed in 50-round boxes, this affordable .40 Smith & Wesson ammunition is ideal for target shooting, tactical practice, or recreational plinking. 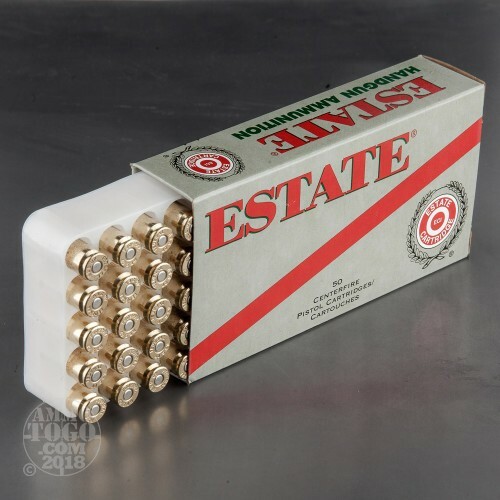 Reliable and cost-efficient, each factory fresh round is boxer primed and non-corrosive. Featuring high-quality brass cases that are fully reloadable, each cartridge is topped with a full metal jacket (FMJ) projectile that weighs 165 grains. 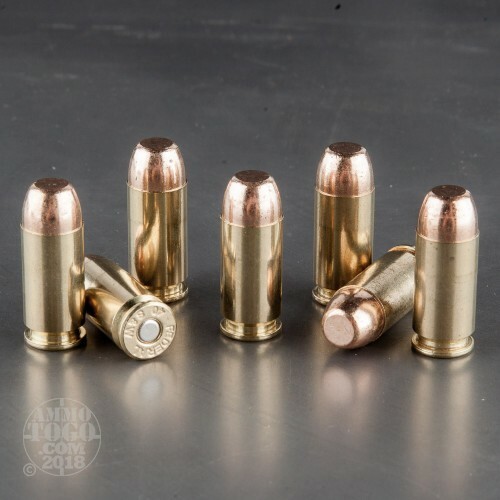 These FMJ bullets provide deep penetration with zero terminal expansion. Each round produces a consistent muzzle velocity of 1050 feet per second with 404 foot pounds of muzzle energy.